Now it has been 11 years of writing almost monthly blogs about fibromyalgia and attending to the stories about people who are ultra sensitive, highly empathetic, anxious, unable to tolerate the pain of others, and have developed an overactive central nervous system which is known as fibromyalgia. I am today taking another route at the beginning of this lovely month of June. 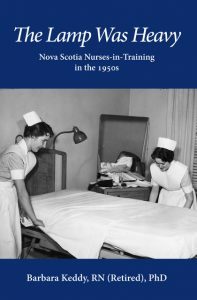 Unlike Florence Nightingale who came back with her heavy lamp from the Crimea and collapsed with fibromyalgia, I am writing today about another kind of nurse, one who was every bit as brave as Florence Nightingale, and survived until the ripe old age of 97, in her home town of Yarmouth, Nova Scotia. She was the marvelous Sara Corning. It is unlikely she suffered from fibromyalgia so the question you might ask is about the contrast between the two. I don’t have an answer to that question, but what I do know is that nurses have heavy burdens to bear and never more so those who faced devastation caused by wars and massacres. Like military personnel who return from wars some develop post -traumatic stress disorder (aka fibromyalgia), while others can carry on their lives in a more usual manner. Now to the purpose of this blog today. As you know from previous writings, I blame my highly sensitive nervous system on childhood trauma and in particular the experiences I had as a student nurse in the mid to late 1950s. During those days we were used as a source of free labour to staff hospitals, often without any days off for three years, working for 12 hours shifts with a great deal of responsibility, ill trained, learning through an apprenticship system. It was not just in small town hospitals in Nova Scotia, but generally throughout Canada, the US and other parts of the world. We were exploited and did not have within us the knowledge or experience to rebel, after all, we were but teenagers. Wanting to record those experiences of student nursing days, I began interviewing in a conversational way, women who had been student nurses up until the 1960s when the times began to change. 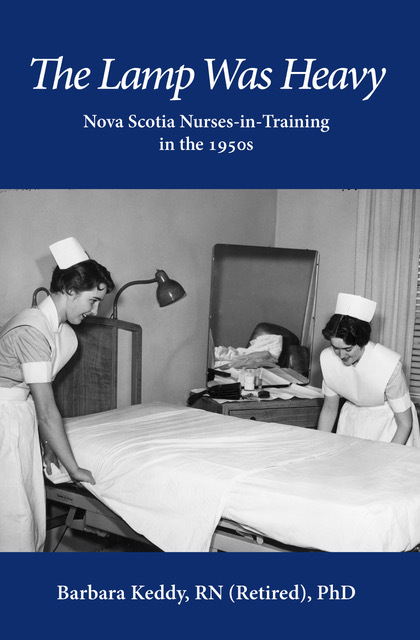 The oral histories I had with women who had been nursing in the 1920s and 1930s are stored in the Nova Scotia Archives and I thought I was done with recording nursing history. Now, in my old age, as a time to reminisce, I look back at the trauma inflicted upon me and my classmates, and once again decided to speak with women of my vintage about their experiences. The result is the book whose cover I shall show you. I have just received the copies fresh off the press, published by GlenMargaret Publishing, Nova Scotia. So, where does this tie into Sara Corning you might ask? Well, for the first reason, she, like me was from Yarmouth, Nova Scotia. Secondly, we were both nurses. Finally, as a social activist all my life I deplored violence, massacres, genocide, exploitation and social injustice. Therefore, in order to pay back society as a result of the privileges I have had as a nurse, I decided that I would donate the proceeds to the Sara Corning Society in Yarmouth so that her story would never be lost in that small town. A statue will be relatively soon erected, a street already named for her, perhaps a scholarship for a student nurse, a bench…the ways are numerous. As statues of unsavory men are being torn down, what better ways to honour women, and nurses than through statues? But even more so the Sara Corning Centre for Genocide Education in Toronto whose work is far reaching will have an impact on future generations www.corningcentre.org Please go to their website and read more about her. As I write I know that there are many readers who are nurses and whose lives are filled with pain from the sights they have seen, the exhaustion that can be overwhelming, the death and despair they see on a daily basis. Yet, they persevere as did Sara Corning. I hope you will support this book which is available from www.chapters.ca . It isn’t a book about Sara but about others who came after her, nurses everywhere who devote their lives, perhaps not as dramatically as she did, but are heroines nonetheless. It was in 1919 that this remarkable humanitarian nurse departed for the Near East, where she helped to rescue and care for thousands of orphans, victims of the 1915-1923 Armenian genocide and Greek massacres, including during the Greek-Turkish forced populations exchange of 1923. This is a lovely post you have written and I will share it gladly. I have read a few stories and of course watched films with nursing background from that time period. I’ve also learned that at some stage, patients who didn’t have means to pay medical bills to the hospital were asked to ‘work it off’ at the hospitals. I am grateful that things have changed since those days, which aren’t really that long ago. I really don’t think many people are aware off how hard, difficult and stressful it can be to be a nurse even today. In many ways, this one statement in itself shows just how well they do their jobs. Thank you for making it possible to print this book. Dear Ursula: I appreciate your comments so much!I am so humbled by the dedication of Sara Corning and all she did in Armenia and Greece and especially saving those innocent children in the orphanages. She was a middle aged person when she was sent there by the American Red Cross and what she accomplished through self sacrifice is unbelievably admirable. The Armenians suffered so greatly from the Massacre and as often as we hear about these horrific tragedies they still continue. It is the work of those in the Sara Corning Centre in Toronto who study issues of genocide and others who bring out the social and political awareness of atrocities that give us some degree of hope. How often do we have to say “never again!”? Then we turn on the news and it keeps happening.